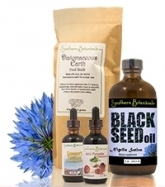 Black Seed Oil helps to promote a healthy immune response, digestive health and respiratory health. It has a natural concentration of essential linoleic and linolenic fatty acids which cannot be synthesized by our bodies and are necessary for optimal health. 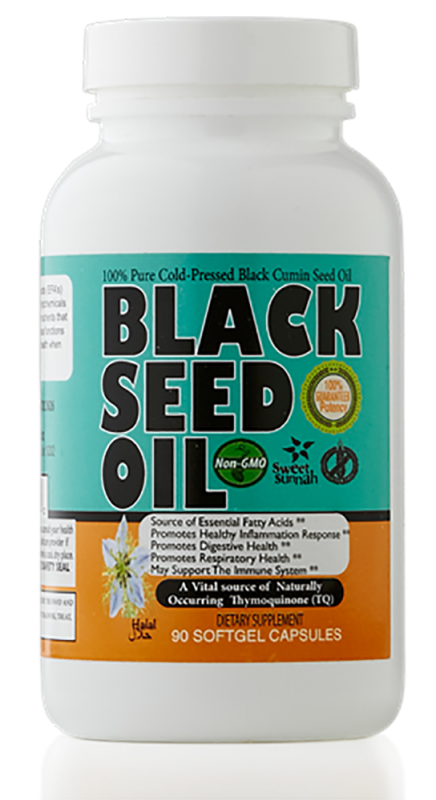 Black Seed Oil also contains thymoquinone (TQ), thymohydroquinone (THQ) and thymol, beneficial substances with a variety of uses, Thymoquinone, one of the main active constituents found only in Black Seed (Nigella Sativa), relaxes the bronchial airways. These substances also have properties that discourage mold and fungus. Black Seed (Nigella Sativa) is one the most revered medicinal seeds in history. It has a history of use going back thousands of years ago. 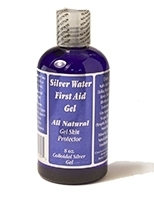 It was recommended by the Prophet Muhammad and its use is mentioned in the Bible. There have been more than 200 studies conducted on Black Seed in the past 40 years in universities worldwide. One such study conducted at the Munich Institute for Research on Newer Therapeutic Methods [Munchner Institut zur Erforschung neuer Therapieverfahren] has confirmed that Black Seed Oil contains over 100 active health-promoting substances and displays superior clinical effectiveness as a nutritional supplement. Various studies have confirmed therapeutic actions of Black Seed Oil including as an immune supporting agent (especially when combined with garlic); promoting healthy brain and nerve function; support for healthy blood pressure and as a good source of essential fatty acids. For adults, take 1 to 2 small gelcaps, once daily or as directed by your healthcare practitioner for general health and maintenance. Black Seed oil may cause blood sugar to go too low for persons taking medications for diabetes, or who have hypoglycemia. Black Seed oil may cause blood pressure to go too low for persons who are taking blood pressure medications, or who have low blood pressure. If pregnant, do not eat large amounts of Black Seed oil. Food amounts are considered probably safe, but larger amounts can slow down or stop the uterus from contracting. Stop using black seed at least two weeks before a scheduled surgery because Black Seed oil may increase risk of bleeding, and may lower blood sugar and blood pressure, potentially causing problems during anesthesia. If you are pregnant or have a medical condition, consult your doctor before taking. Whole Black Seeds (Nigella Sativa) 8 oz.